If you have ever been to Pinto Ranch, you know that it is more than just another western wear store, it is a complete experience. We strive to make sure that each of our locations reflects our American roots and our devotion to western wear. Our Dallas, Texas, location is no exception. One of the things that makes Pinto Ranch Dallas so amazing is the contrast between the modern metroplex and the traditional western culture. In this city you can see anything from renowned museums and astounding architecture to traditional boots and spurs. While many have forgotten the life of the cowboy, Dallas-Fort Worth has not . The Metroplex boasts the National Cowgirl Museum and Hall of Fame, Southfork Ranch and is home to the Stockyards National Historic District. Pinto Ranch opened its Dallas location in 2007 as the second Pinto Ranch location. Since Dallas opened its doors, two other locations have opened up bringing the Pinto Ranch total to four unique locations. Our Dallas store is devoted to creating a great atmosphere and cultivating a love for western wear. Keep reading to learn more about what makes Pinto Ranch in Dallas truly unique. Pinto Ranch Dallas is located in NorthPark Center. 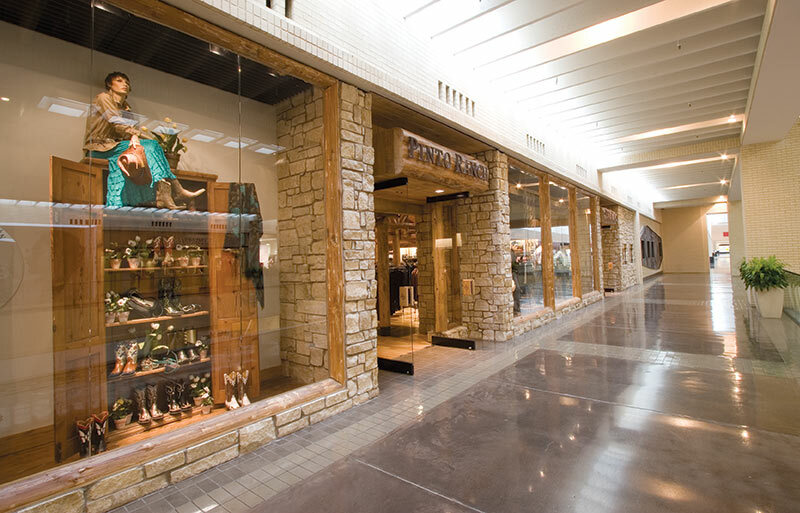 This luxury shopping center has everything you need from our western wear to great eats, and has even been referred to as one of the “7 Retail Wonders of the Modern World.” Pinto Ranch is found on Level Two near Neiman Marcus. The store's central location also puts Pinto Ranch near The Shops at Park Lane and other Dallas destinations and attractions. Where else in Dallas can you get your cowboy hat steamed? At Pinto Ranch Dallas, we have a hat steamer on-site so you can get your western wear shaped just right before you even leave the store. We also offer boot and shoe shine services so your cowboy and cowgirl boots look as good as the day you purchased them. The trained staff at Pinto Ranch is devoted to making sure that you find the perfect western wear outfit that reflects your unique style. Pinto Ranch in Dallas has unique western clothing selections that reflect the American lifestyle. Popular brands for men’s western clothing include Ryan Michael, Cinch, and Scully just to name a few. These clothing lines are unique and transition well from informal to formal occasions. We have a wide selection of shirts and jeans for everyday wear, plus jackets, sports coats, and slacks for a more formal look. 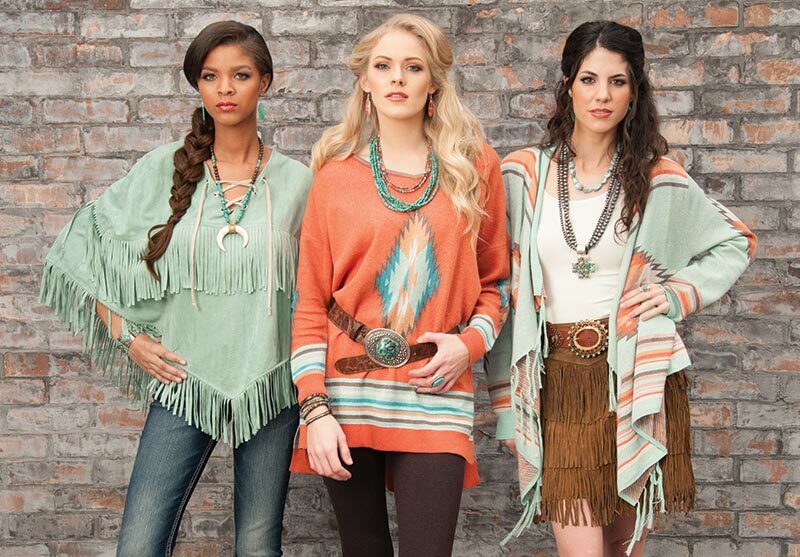 When it comes to women’s western wear, we offer top brands like Vintage Collection and Double D Ranch. In our women’s collection, you can find Southwestern patterns, gorgeous embroidery and lightweight, all-season fabrics. So whether you are looking for a western top to compliment your new jeans, or a dress to reflect your chic style, Pinto Ranch Dallas offers premier designer apparel so you will be the best-dressed woman in town. Pinto Ranch has the largest inventory of handmade cowboy boots in the entire US, and we only offer the best. Find cowboy boots from well-known and respected boot makers including Lucchese, Stallion, Old Gringo, and Rios of Mercedes. 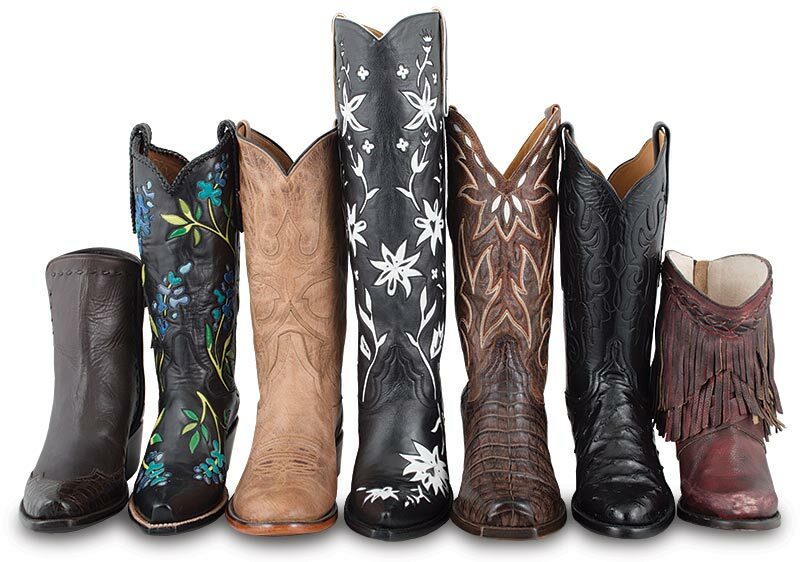 Among our selection of cowboy boots are exotic leathers like alligator, hippo, lizard, and ostrich. All of our cowboy boots are made by hand, making each pair truly unique. Whether you are looking for a pair of authentic cowboy boots, or something more retro, we have a style for everyone. 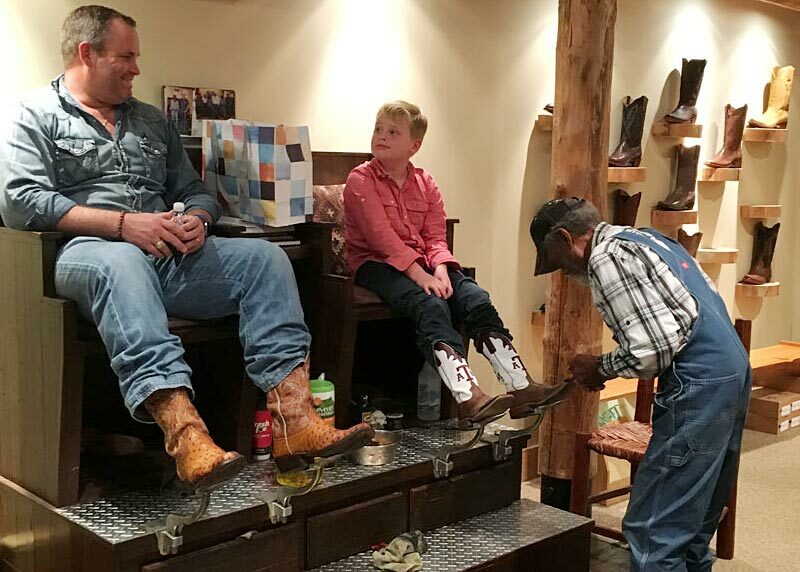 Our expert associates at the Dallas location will ensure that your boots have the perfect fit. And there’s no waiting! With over 5,000 handmade cowboy boots in stock, you can walk out of our Dallas store with a pair of your own handmade cowboy boots. We don’t just focus on western clothing at Pinto Ranch, our Dallas location also has a large selection of one-of-a-kind accessories that will pair perfectly with your western wear. Find a William Henry knife made of state-of-the-art alloys, or try on one of our Stetson cowboy hats. We also have chic artisan jewelry made from sterling silver and genuine stones to complement any western style. Even if western wear isn’t your wardrobe look, we have gifts and home items that anyone would love. In addition to these accessories, you will find genuine leather belts and sterling silver buckles that any Texan is proud to wear. At Pinto Ranch we offer more contemporary buckle sets as well as traditional western styles. We also have a wide selection of trophy buckles that are hand-engraved and hand-cast by only the best silversmiths in the United States.